A lion’s pride isn’t defined only by those he commands but also resides with his hair, so when a human dares to butcher Arik’s mane, he gets his revenge — and claims her as his mate. Run as fast as you can, little mouse, because this cat loves to chase — and pounce. Oh, and he also likes to nibble on tender bits. 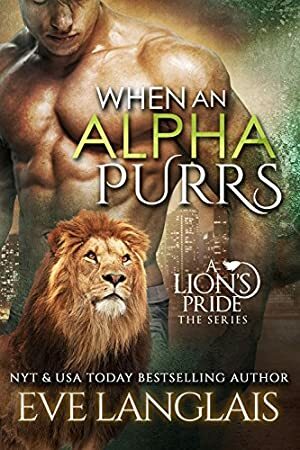 What he doesn’t expect is to fall for a human woman, a woman who can make the impossible happen because everyone knows lions can’t purr… until now. read her yet, and was eager for a freebie to check her out.